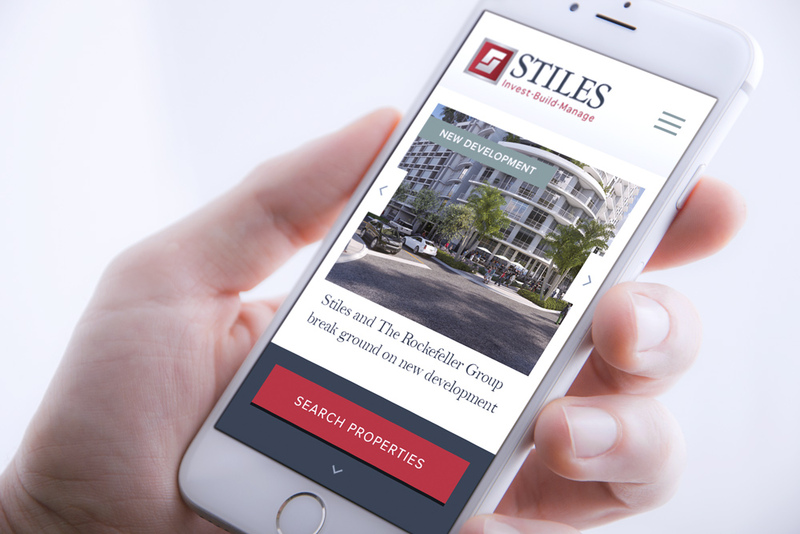 Stiles is one of the largest commercial real estate firms in South Florida. They are a multi-generational company that offers 10 different services in the industry ranging from acquisition of land, building, selling, leasing and more. 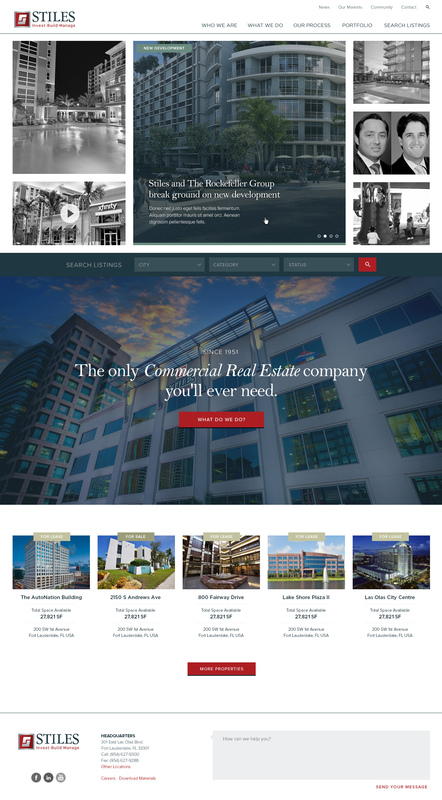 For this project, we created a website from scratch that showcased all 10 different divisions equally. 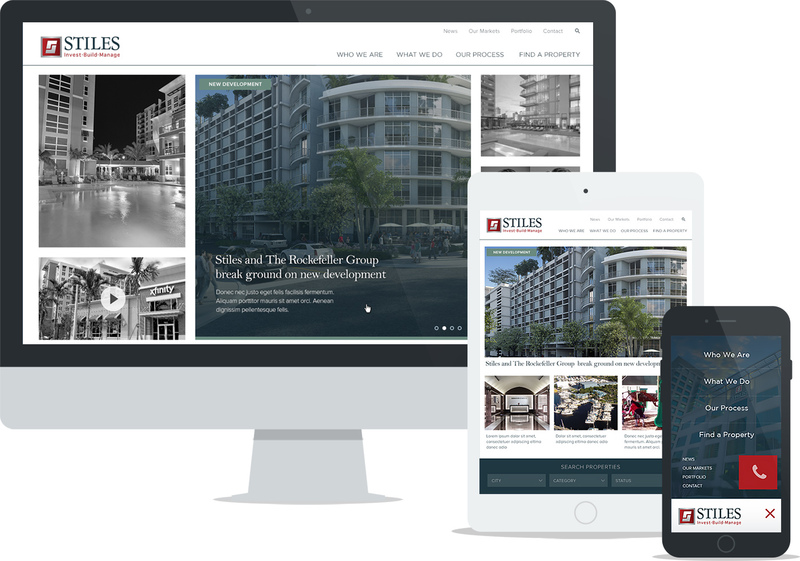 Using a masonry grid on the home page, we were able to feature news from multiple divisions at once as well as the ability to navigate to the services quickly from the main navigation without overwhelming the visitor. We built the site on a WordPress back-end that allows multiple employees to manage the team members, the news, the press releases, the portfolio projects, etc. A custom, automatic import from their Microsoft Dynamics CRM was created to import the active listing information.